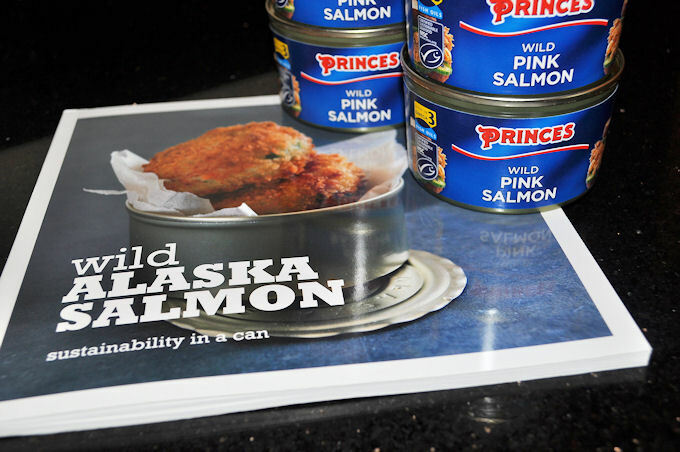 Princes sent the Scottish Mum household a box of Alaskan salmon with the request to create our own recipe and report back. 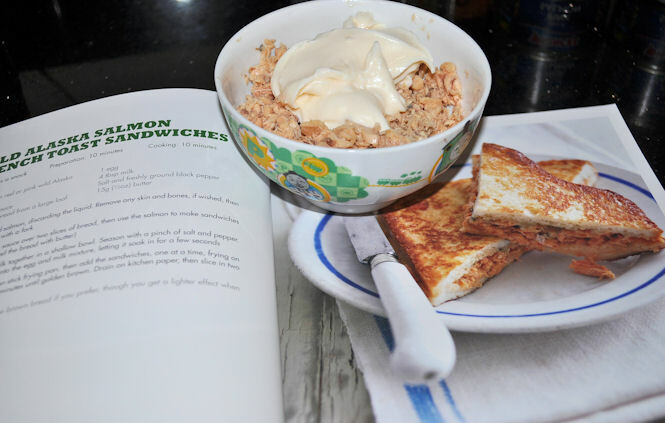 They also kindly sent us a lovely salmon recipes book, and a couple of our tins of Wild Pink Salmon are going to be made into salmon fish cakes as the recipe in the book looks so absolutely and deliciously tasty. Having salmon in a can is handy for those meals where the kitchen cupboard is looking a little bare and we struggle for something good, nutritious and filling to feed our families. Inspired by the Wild Alaskan Salmon French Toast Sandwiches in the recipe book, I went to work. Serve as a snack, or a main meal. 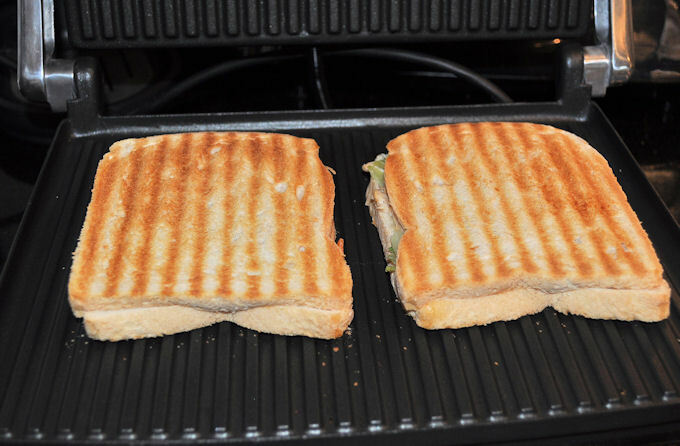 I use a panini press, but you could use a regular sandwich maker, or make them under the grill. Drain the can of wild Alaskan salmon. I removed skin and bones from the can as I know my kids won't eat these, but you can choose to keep them in. Mash the salmon and add the mayonnaise. Use a fork to mix the mayonnaise thoroughly with the salmon. Add a pinch of salt and pepper and mix that in gently. Lay out bread for making the sandwiches. I butter on one side only. 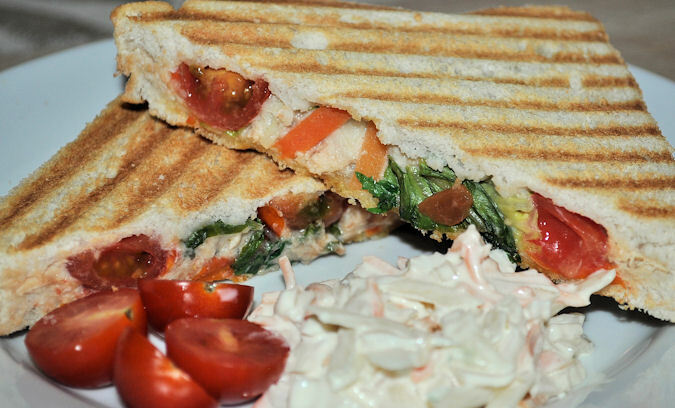 Spread the salmon and mayonnaise mix on the buttered side of the bread, and top with lettuce and sliced cherry tomatoes. Place the top piece of bread on and put in the panini press to cook. After approximately 4 - 5 minutes, or when the bread is a lovely golden colour, remove from panini press, slice, and serve with cherry tomatoes and coleslaw on the side. I love fatty fishes in general and so naturally salmon would be one of my favourites. My favourite salmon dish, however, is salmon-topped pizza. 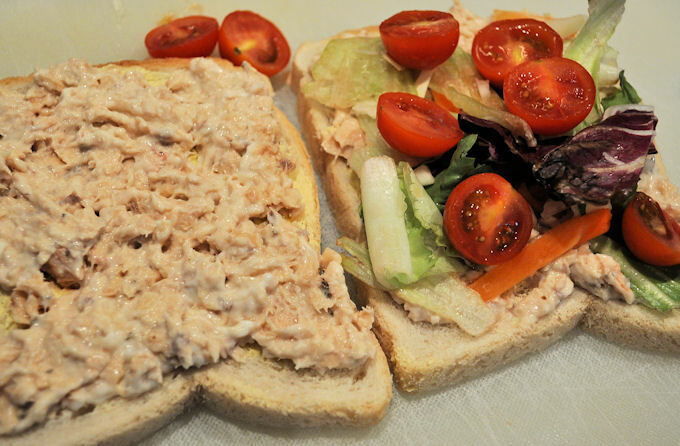 Your salmon sandwich is easy to make and looks really delish!